Remove the back cover from the handset. 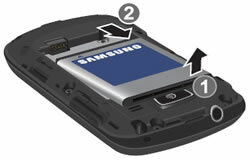 Lift the battery up and out of the handset. Replace the back cover on the handset.